New! Better menu and upgraded web page: Click here. The P.L. 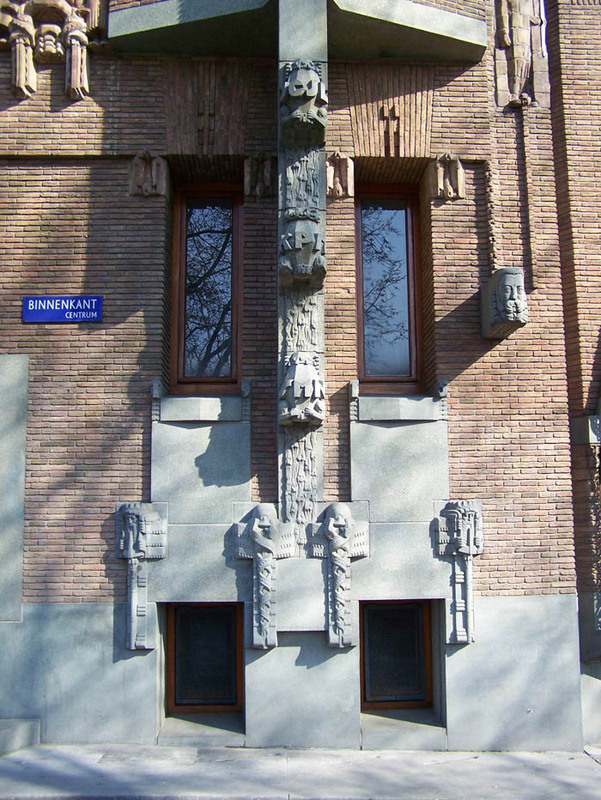 Takstraat, one of the top sites of the Amsterdam school architecture. End of December 2013. "Thanks a lot for the tour and the photos. Ik have received many positive reactions gehad,everybody loved it!" Sanne (who organized it). 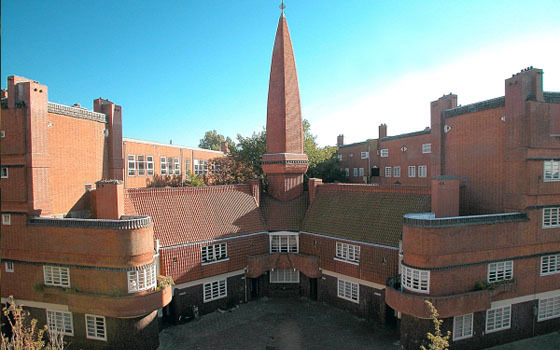 for a walk or bike ride along the famous Amsterdamse School architecture scattered through town. Specific attention for architecture from the period 1910-1930 featuring expressive patterns in brick, and additional ornaments in wrought iron, terracotta, stained glass; and a festive sculptural total facade design. Idealistic and socially friendly as it brought beauty into the cityscape and promotes art appreciation. Visits are possible to the exterior of various city building blocks including: 'the Ship' (het Schip) in de Spaarndammer area; the area of P.L. Takstraat/Jozef Israelskade; Vrijheidslaan/Plan Zuid by Berlage area; area of Mercatorplein; area of Roelof Hartplein, area of Minervalaan; and more. Includes impressive single buildings such as Scheepvaarthuis (photo); the office at the axis of Stadhouderskade/Overtoom; the extravagant building near Central Station, the Hardware store Gunters & Meuser in Jordaan/ Prinsengracht. 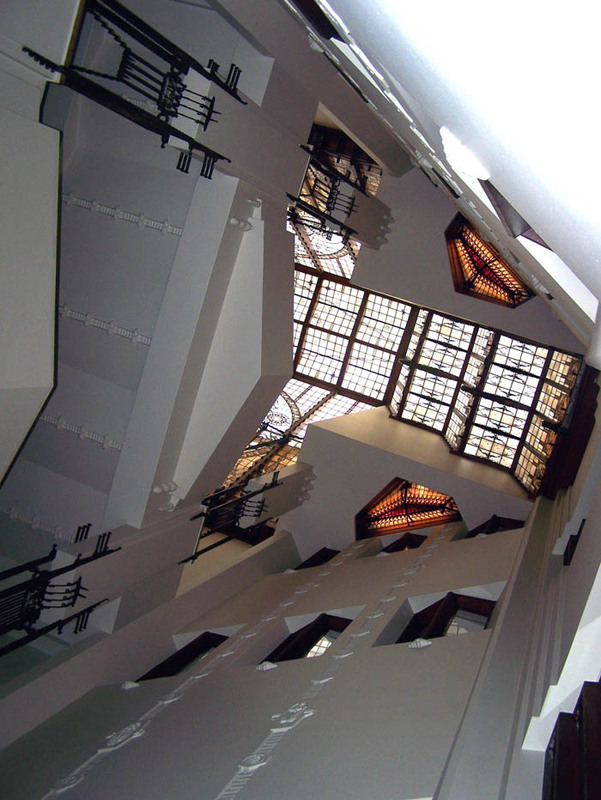 During this tour which may be done by taxi, bicycle or on foot we will discover the hot-spots which connect us with great architects and ideas from the past. Dutch version. On top and below : Amrath Hotel, now situated within the Shipping House (Scheepvaarthuis), photo Kaldenbach. The Scheepvaarthuis was the grand, festive headquarters of six shipping agencies in Amsterdam. 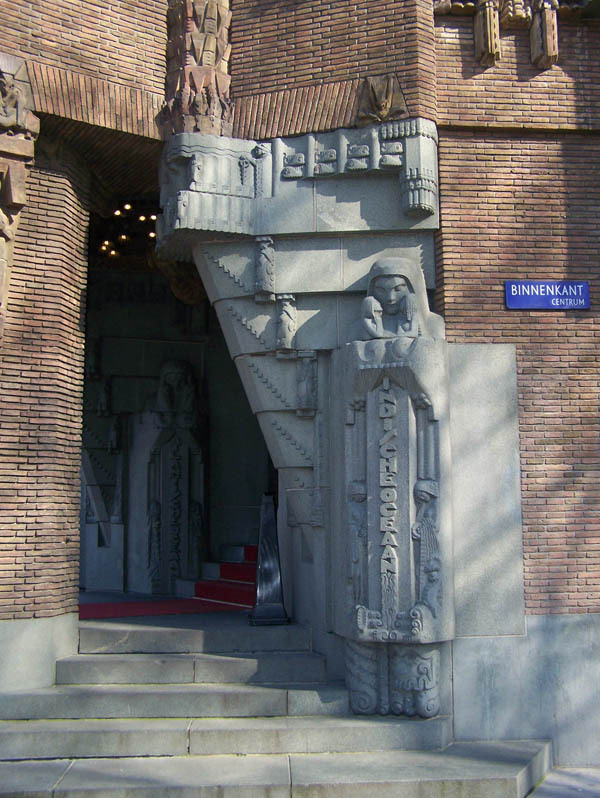 Built 1913-1916 - the concrete skeleton designed by the brothers Van Gendt. Sculptural treatment of the facade and interior in brick, terracotta, wrought iron, stained glass after designs by J.M. van der Mey assisted by M. de Klerk and P.L. Kramer. Visits to some parts of the interior are possible: breakfast room, stairwell. Sculpture at entrance steps, photo Kaldenbach. Memorial to the many journeys to the Far East (now Indonesia), the Indian Ocean, visited by the heroes 'helden' of the VOC. And now moving to the side, along the Binnenkant gracht. Sculpture at the side of the building., photo Kaldenbach. Abbreviations indicate some of the shipping agencies inside: JCJL = Japan China Japan Lijn; KPM = Koninklijke Paketvaart Maatschappij; SMN = Stoomvaart Maatschappij Nederland. Material used: brick, natural stone, terracotta, tropical wood. The Ship (Het Schip), photo Internet. Design of city blocks by Michiel de Klerk, 1914-1921. From this point of view the building is wonderfully mirror symmetric. Originally conceived as school building + homes. Now including Museum Het Schip. Het Schip, last job in restoration; photo Kaldenbach. 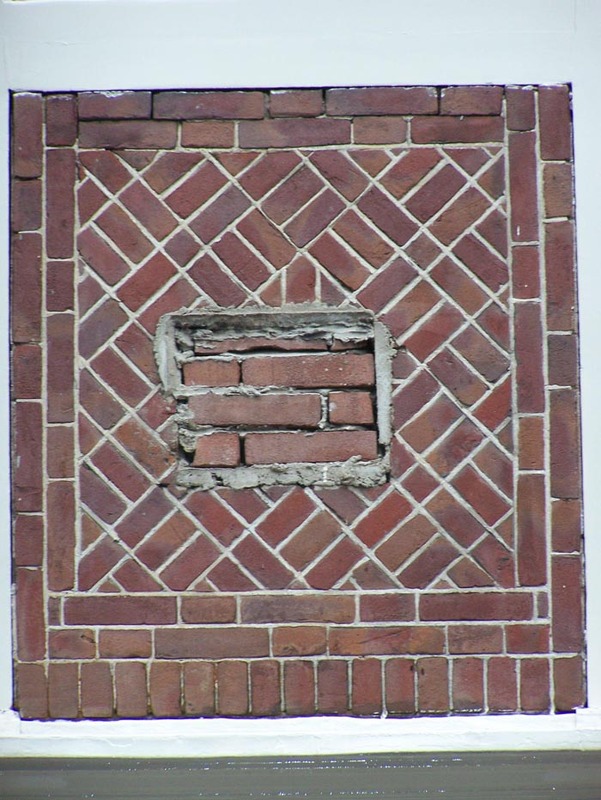 During our walks we will closely observe Dutch traditions in masonry and brickwork. What do you think of this repair job in the alley called Roskamsteeg? On 22 April 2017, my wife and I got a new understanding on Amsterdam with private tour guided by Kees Kaldenbach although we lived in this beautiful city for several years. We have a specific interest on Amsterdam School. 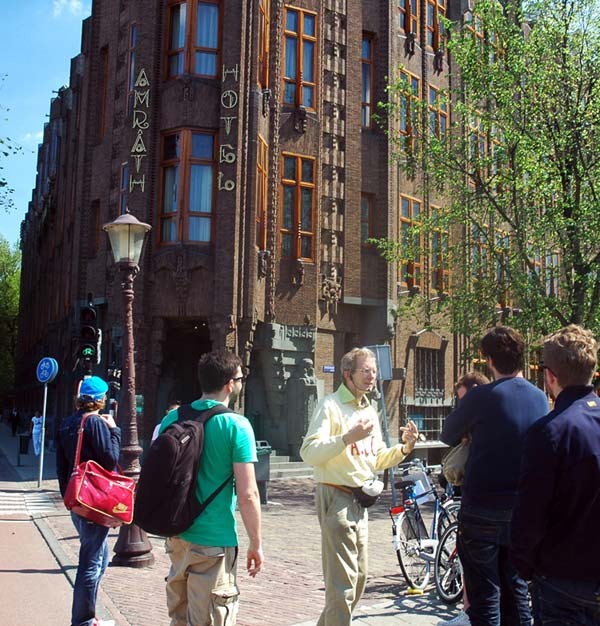 Through Wikipedia regarding Amsterdam School, we found this specialized tour regarding Amsterdam School operated by Kees. 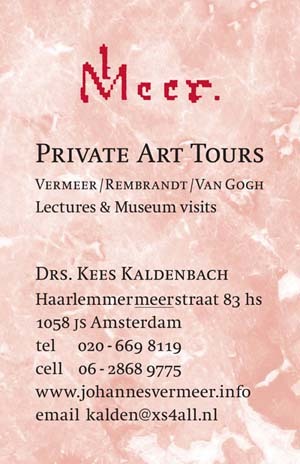 We communicated our specific interest to Kees weeks prior to the tour. 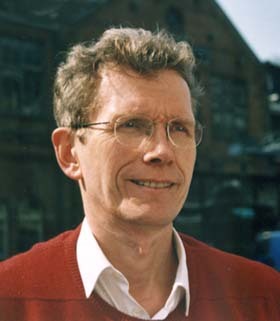 When we met up with Kees, he already did his research in public archive and relevant websites. The findings are very much exceeding my expectation and helped me tremendously for the understanding of Amsterdam School and our specific interests. We enjoyed the tour because of high enthusiasm and broad knowledge of Kees regarding Amsterdam School and this fabulous city! No doubt that Kees guides professional tours. But if you have specific interests or requirements on the area or Amsterdam School, please tell and hire Kee. He is able to address your needs in a way that no others could do better! Attentive crowd while Drs Kaldenbach is lecturing. Tours available in English, Dutch, German. Amsterdam is the uncrowned capital of The Netherlands. The beauty of the city center is the result of many centuries of careful city planning. It boasts the most wonderfully preserved group of canals and ancient canal houses found anywhere in the world. In the center we find the headquarters of the United East India Company, pivot of international trade and source of great wealth in the 17th century. Dutch painter Rembrandt, prince of painters, and prolific etcher, draughtsman also made his home here and catered to the wealthy merchants. A number of important museums including the Rijksmuseum and the Van Gogh museum are also located here. A dozen of other museums are well worth visiting, including the Rembrandt house. On Dam square, from which this town on the Amstel river originally got its name, is the former Town Hall, now Royal Palace. Next to it stands the late mediaeval New Church, now mainly serving as an exhibition hall. A five-minute walk going east takes us to the large Old Church in the middle of the Red Light District. As a reference manual I use the famous d’Ailly historical handbook during the Amsterdam walks. As an art historian based in Amsterdam, The Netherlands, I can meet you in Amsterdam for a personalized guided tour of art museums and the historic center. Together we will experience the beauty and history. Enjoy yourself and learn about history while strolling and discussing the country's history, art and culture. In doing so, we may touch a number of bases - spanning not only fine art and architecture but also the city's history and current social issues. See client testimonials. Starting at your hotel I will take you on a wonderful private cultural walking tour of your choice. My guided itinerary offers you accessable informative conversation in English, Dutch, or German (my French and Italian are more limited). These tailor made tours are available upon request - please contact me to book a date. Minimum group size: 1 person. Maximum group size is limited to about 10 persons. With a megaphone I can also manage larger groups on the streets. 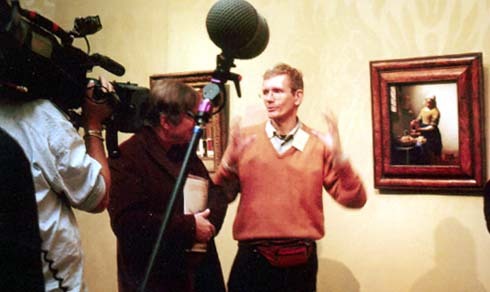 The Rijksmuseum has done me the honor of linking the main Rijksmuseum site to my website. Start at www.rijksmuseum.nl and select Collection. Then choose 'Digital Collaboration' and the 'Digital Vermeer House'. 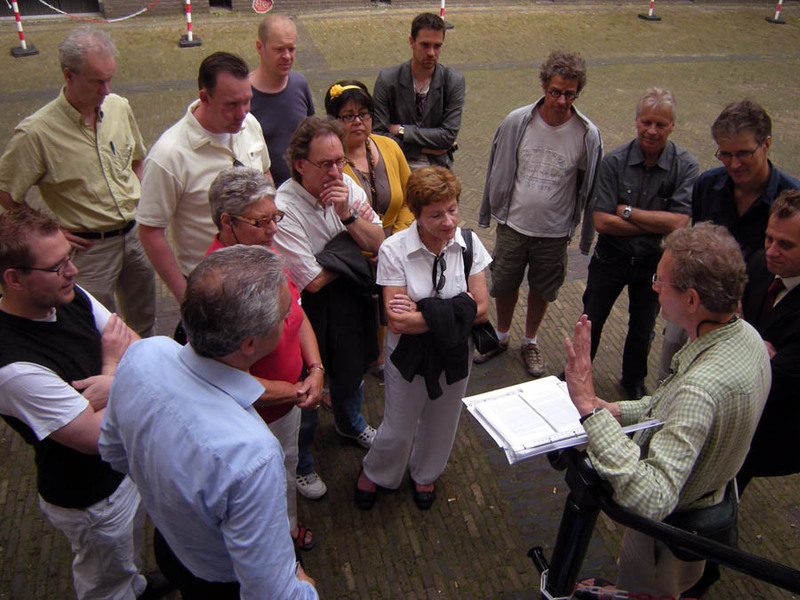 I conduct Rembrandt walks in Amsterdam for the Netherlands Bureau of Tourism, London and New York City offices. Their clients include important journalists. The travel site www.luxurytraveler.com has devoted a main feature to my tours and walks. 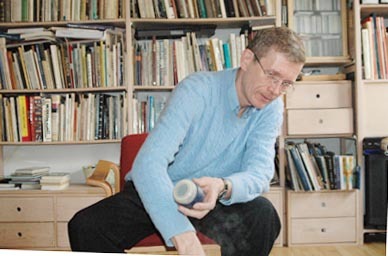 Launched 9 Feb 2011. Updated 14 february, 2017.